If there is this one veggie that both Hus and me love it would be Ladiesfinger/ Orka/ Bindhi and on a usual basis I make ladies finger stir fy or Ladiesfinger Puli Kuzhambhu and this coconut milk curry. 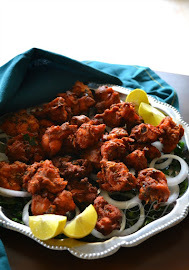 So the otherday when I made this curry Hus asked me if this curry made an appearance in my blog ;-) and I said no, so that's when I realised Its time to post this family favourite curry. 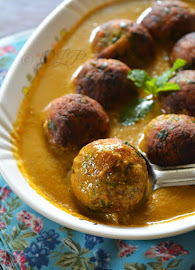 This is my own take to the curry and I sure take pride to say that it is so yum and goes well with rice and appalam. 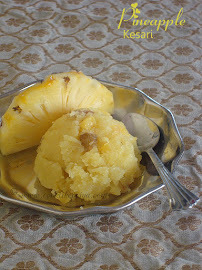 Try it for yourself and see I am sure you will love it too. 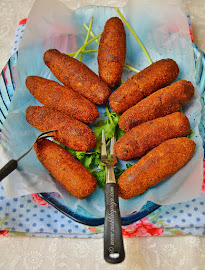 Ladies finger is a versatile vegetable that can be made as fries, pakodas, sides and curries. 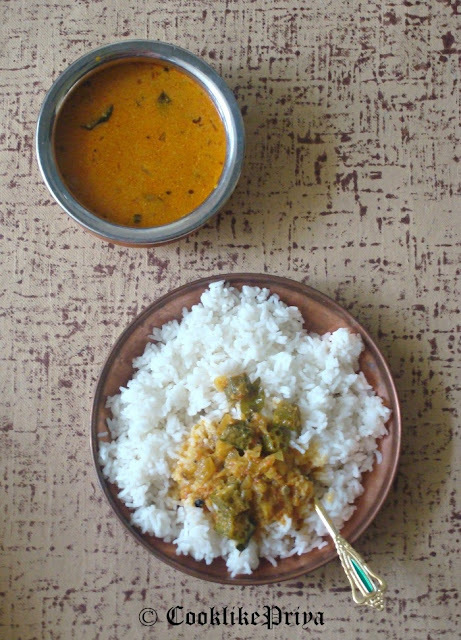 In South India most common recipes with Vendakkai would be poriyal, ouli kuzhambhu and moor kuzhambhu. 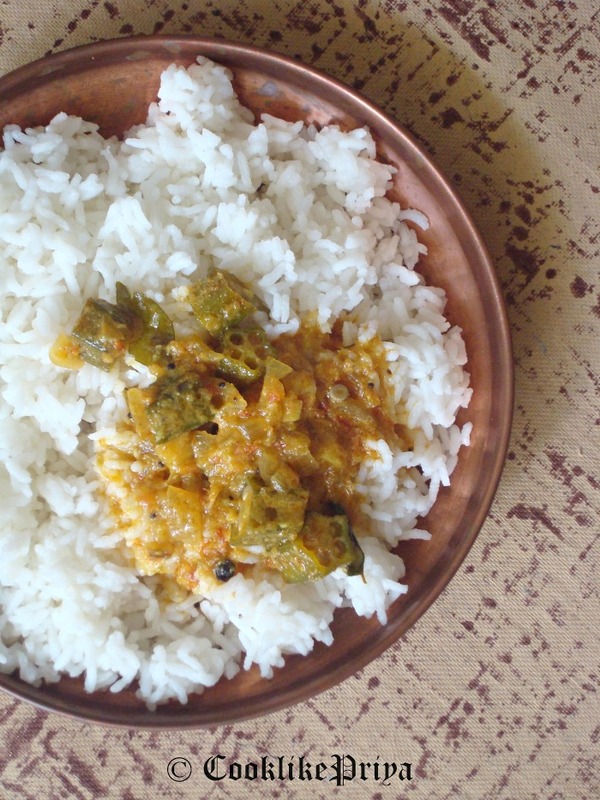 This coconut milk curry is light and filled with a lovely coconut milk flavour. 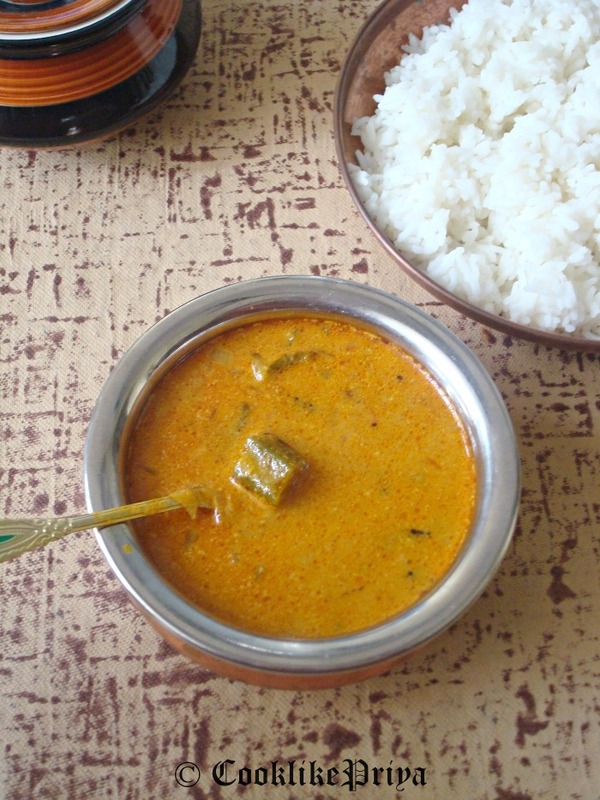 The spice combinations and curry leaves gives the boost to the curry a lot. In a wide kadai/ wok heat oil once its nice and hot add the mustard seeds wait for it to splutter, now add whole jeera, peppercons, curry leaves and onions, green chilli sauté well until the onions become transparent. You can add little salt for the onions to cook fast. Add the ginger garlic paste and let it cook until the raw smell goes away. Add the tomatoes and let it cook for 3 minutes until mushy. Add the chopped ladies finger and mix well cover and let it cook for 4 minutes until 90% cooked. Now add the spice powders - turmeric, red chilli and sambar powder give it a good mix. Add one cup of water and bring it a boil. Prepare thick coconut milk by blending the coconut along with water. Strain the thick coconut milk. Add to the boiling curry and let it cook in medium flame for 3 minutes until all the spices come together. Add the coconut oil and give it a good mix. Serve hot along with white rice and papad. - To prepare thin/ thick coconut milk adjust with water, more it you want thin consistency or less it you want thicker consistency. 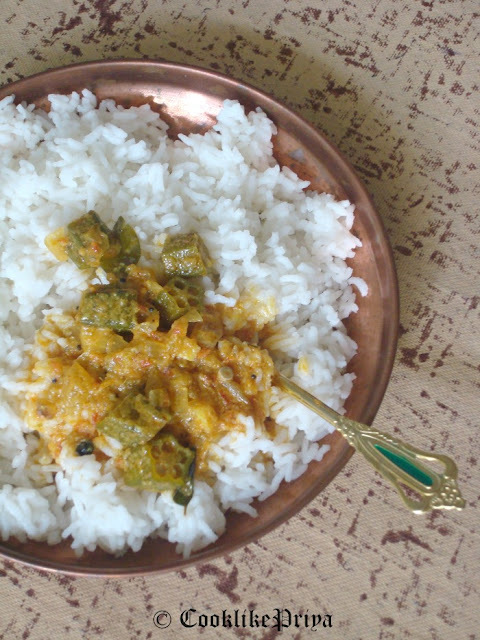 the curry looks so good with rice... i love ladies finger, looks like a must try! 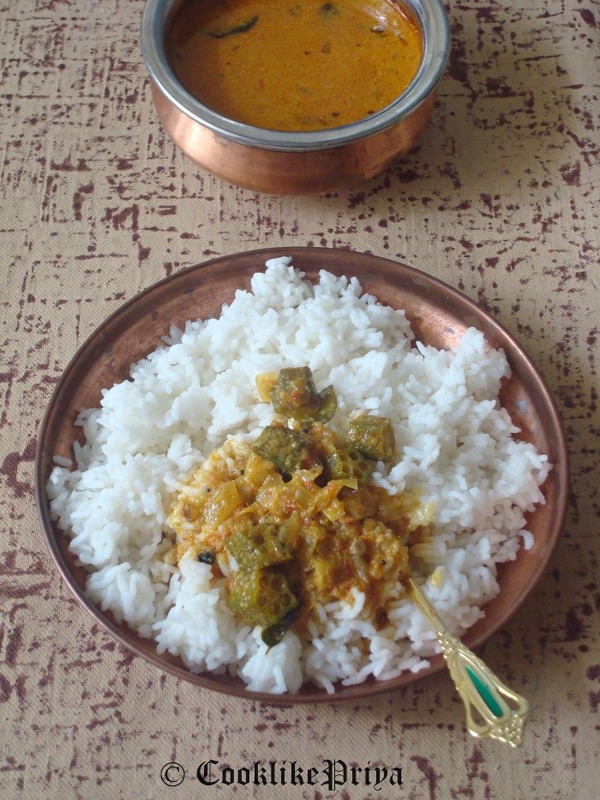 It has been a long time i had this curry.. feel like cooking now.. delicious..
Looks too flavourful bhindi curry. Very inviting dish Priya. Very flavour full curry and I like to grab that bowl from the photo. Loved it. Seems to be delicious and lovely combination of okra and coconut milk. Wonderfully prepared. 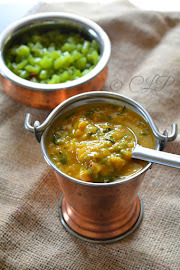 Anything cooked in coconut milk is my favourite.. Lovely combo of okra in coconut milk.. Nice clicks.. Highly flavourful and fingerlicking kuzhambu..i can have happily with rice and papads.